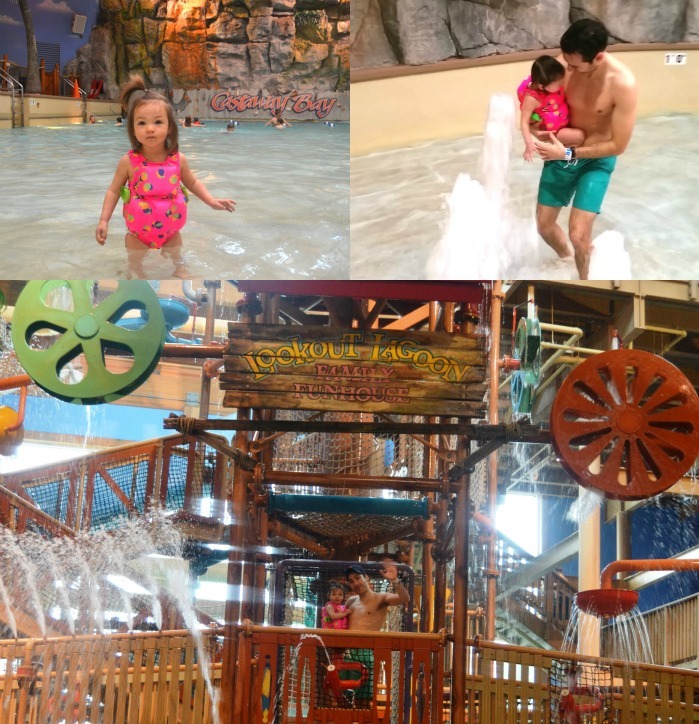 Castaway Bay Indoor Water Park + Giveaway! Until now, I had never really been to a big waterpark. When I saw a review of Castaway Bay on another blog, I knew that I had to go. 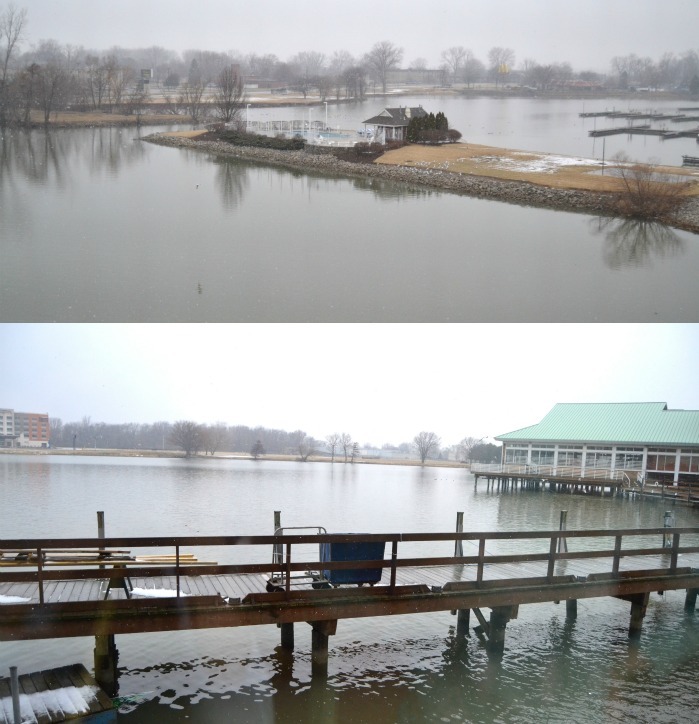 Castaway Bay is a huge indoor waterpark in Sandusky, Ohio that is right by Cedar Point. There is so much to do and it is truly like a full resort. We arrived Saturday late morning and did not leave at all until we checked out the next day. You could not check into your room until 4 PM but are allowed to go the waterpark early. We got changed in the locker room and went right to the park. Seeing my daughter's eyes right when we walked in was my favorite part. At just 17 months old, she got so excited and was not scared at all. We started out in the toddler pool which was perfect for her. It was only about a foot deep which was perfect for her to walk around in. There are a couple of slides in this area that were perfect for her. We brought my sister along with us which was so fun. We had one person stay with Adalyn and two people go off together to the water slides or other activities for older ages. I loved the water slides so much! They were fast, thrilling and so much fun. I felt like a kid again. My sister was obsessed with the wave pool which was like being on the beach. Adalyn really enjoyed this as well and her face lit up each time a wave came. Besides swimming, we went to dinner at Quaker Steak and Lube and were very impressed by the menu. I got a salad with grilled chicken, nuts and a bunch of fruit. I loved it! 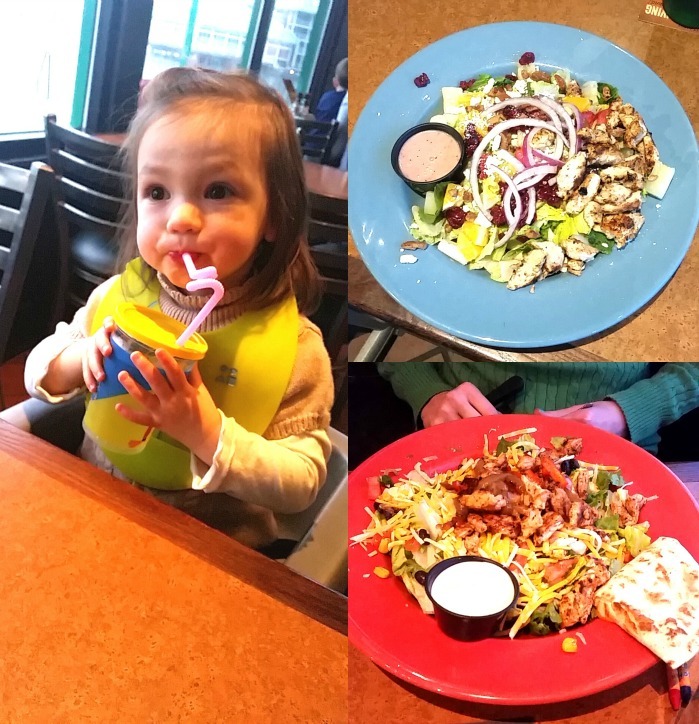 My sister got a chicken fajita salad and Troy got a burger which he said was one of the best burgers he had ever had! The prices were very affordable too with each meal being around $11.00. The room had plenty of space. My sister was pretty cool staying on the top bunk in the "kids" room haha. There was a huge walk in closet that we setup Adalyn's pack and play in to give her a quiet, dark space. She actually slept quite well! I was amazed. We had an awesome view from our room with a lake beneath us with lots of different birds. Adalyn loved pointing out the ducks which is one of the 20 or so words that she knows. After dinner, we went to the water park again and noticed that it was less busy around 7 PM which was nice. The rides had no wait then which meant that we could go on them more frequently. Then, we went and got changed into our pajamas and went to a dance party on the 3rd floor at Club Castaway. This was Adalyn's first dance that she had been to and she had a blast. It was adorable seeing a bunch of little kids dancing. My husband who loves to dance had a blast too! They also had lots of other kid activities going on such as karaoke and coloring t-shirts. This was awesome for those who do not want to be at the water park the whole time. Even though it was past Adalyn's bedtime, we stopped for some ice cream at Ebb and Eddy's which is located near the check-in. They give you a huge amount of ice cream for only $2.50. 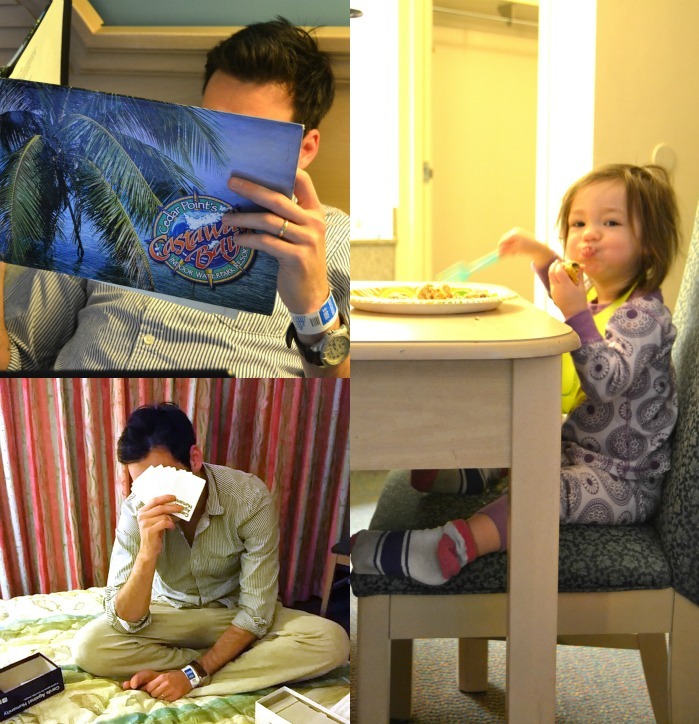 I was surprised that the food at the resort was not crazy overpriced like at some places. After Adalyn went to bed, the three of us had a great time having some wine, playing Cards Against Humanity and then watching a movie. The next morning, we had an awesome egg casserole that my sister made. We went to the water park for a couple hours more and then headed home. It was an amazing weekend and I will definitely be returning. I love that you can go hang out in your bathing suit in 82 degrees when it is literally snowing outside. Seeing Adalyn have so much fun is priceless to me. The adults had as much fun as the kids making it a vacation for all. The giveaway will be for 4 day passes to Castaway Bay Indoor Water Park to one winner! To enter: Leave a comment about the #1 reason that you want to visit Castaway Bay indoor water park. Disclosure: We were provided with a complimentary night's stay at Castaway Bay and dinner at Quaker Steak and Lube in exchange for a review. All opinions are my own. 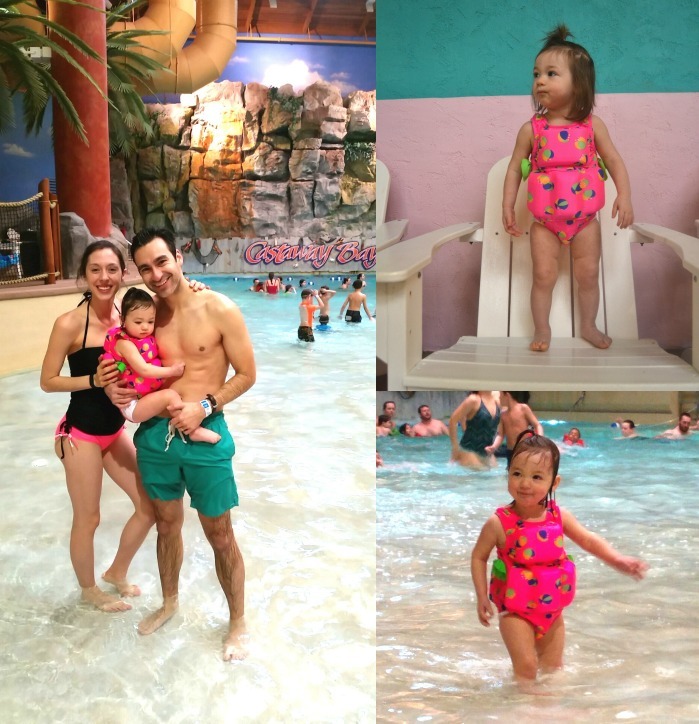 My daughter is 19 months and I think she would have a blast going to a water park!! My nephews and niece would love playing here!! Would love to take my 3-year-old here! 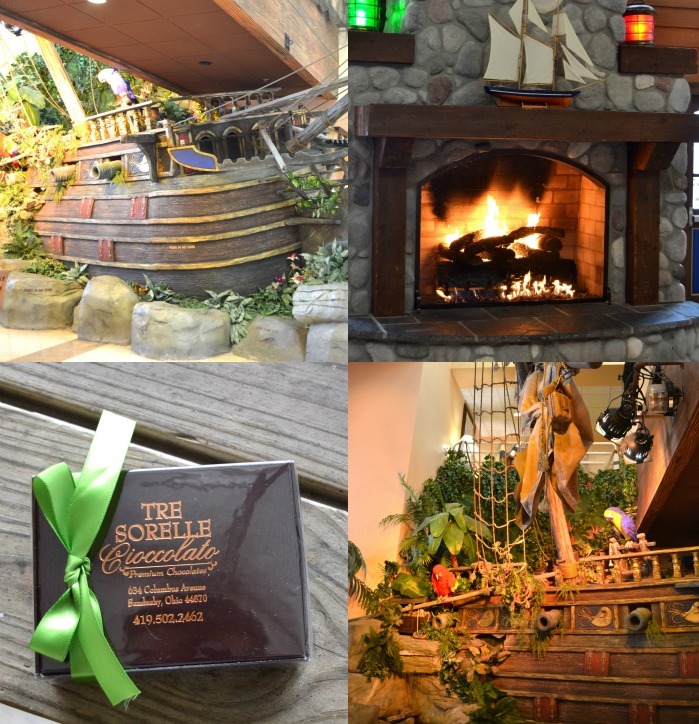 We've been to Great Wolf Lodge and even my teenage son had a good time, so we'd love to try Castaway Bay! My kids have been wanting to go there and as a family we do not get to get away much. This would be an amazing reason and a great way to reconnect - and get wet in the process! My kids love water parks and swimming! My kids have been begging to go to the water park! Thanks for the giveaway! The #1 reason that I want to visit Castaway Bay is to take my 10 year old son so we can have a blast together!! My daughter would love a warm place to splash and play after this chilly winter! 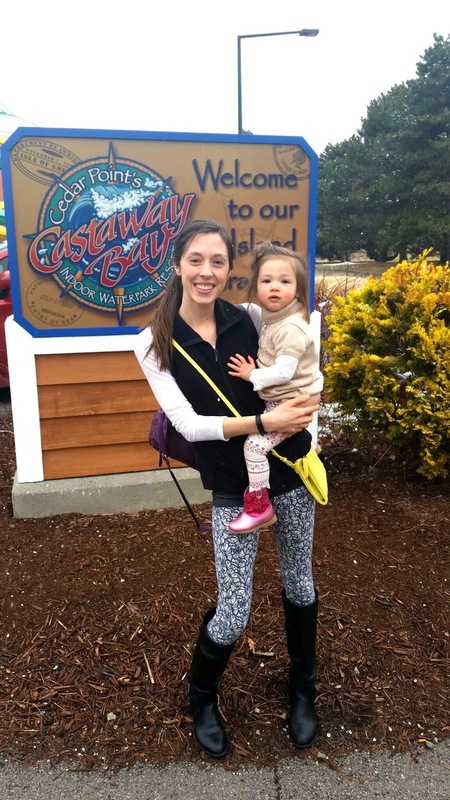 I would love to take my 5 year old daughter to Castaway Bay, she loves to play in the water and try new things so this would be a great trip for my family. Looks fun! I think all my kids would love going to a water park for spring break! This looks like so much fun! 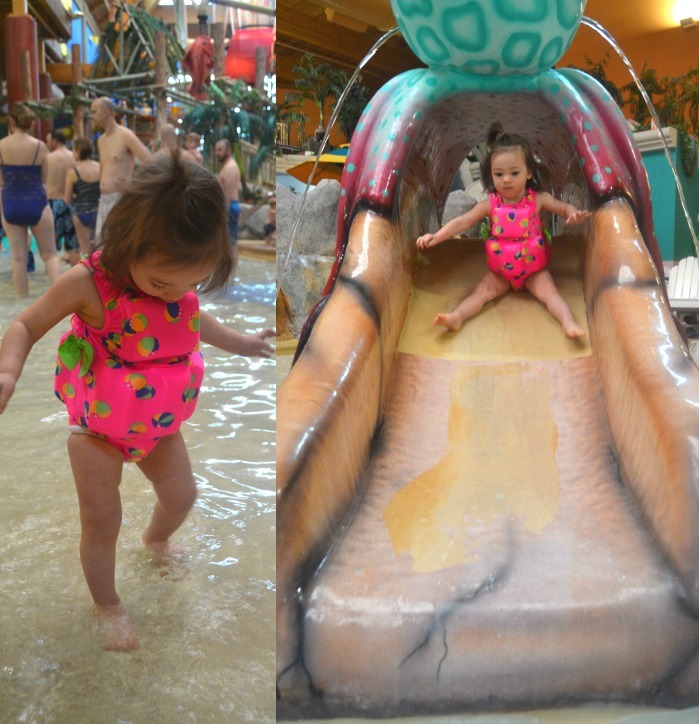 R loves water, we have tried a bunch of water parks with her (let me know if you want some local ideas.) She would love this place. We are new to the area and will be looking for fun and amazing things to explore this summer! I'd love to visit because I think my almost two year old would love it! I would love to take my grandchildren for a fun day at the waterpark. I'd love to win these for my niece and nephew! Looks like a great place to unwind and have fun with the family. This would be a great escape after spending winter cooped up inside. My 16 month old LOVES water and this seems like an awesome way to get her exposure while it is still a little too cold outside. I'd love to go because it sounds like so much fun for a family! Their website also says they are wheelchair accessible, though I cannot find any details about that accessibility. I'd also love to go there just to find out about that! My husband and I have been talking about doing a little more traveling. We need to get out a little more. If we could go, we would invite our daugher/hubby & 2 girls (3 yrs & 5yrs. )and son/girlfriend also to go along. All would truly love that. It looks like a great place to just enjoy hanging out together as a family! I'd love to take my wife and kids as a reward for all the hard work that have been doin this school year. The weather outside has been a roller coaster of sorts and it would be nice to getaway to a more tropical climate even if for only a day! I would love to take my 2 and 4 year old daughters to the water park. They have never been to one and I think they would love it! My kids would love it there and i haven't been able to take them. thanks for offering this! It's too cold where I live and need a vacation from blue hands! Sould bring my family! I would love to take my family of five here, we had been there years ago and loved the wave pool and water coaster. It would be great to have a long overdue getaway!! I would love to win as a way to celebrate my nephew's 8th birthday! He loves water parks and we've never been to this one! I'd like to experience the water slides. I think this is a great idea for my grandkids. I think this would make a wonderful family getaway! My kids are still a little too young for Cedar Point. This is perfect! This is my son's favorite water parks of the ones we've been to. He has sensory processing disorder and water play is very balancing for him. I'd love to be able to take him back there! My #1 reason is my grand daughter Mollie - she would love this! My #1 reason is to take my two kids. They would love it! I would love to win because my daughter and I love trying new things and going to new places. 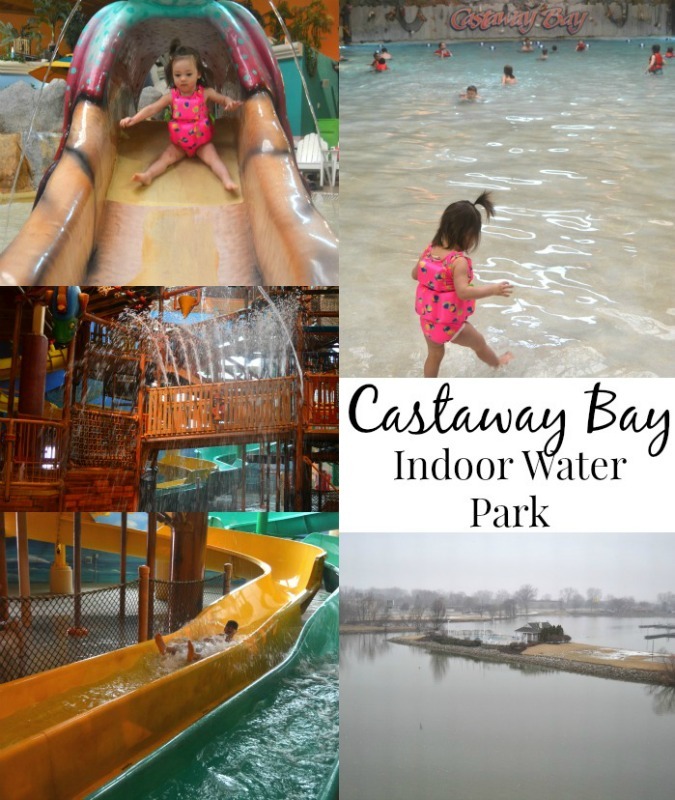 The #1 reason that I want to visit Castaway Bay indoor water park is that it looks very fun! My #1 reason I'd like to visit is that my grandson absolutely loves the water!